Taking a small step up from the very popular KGS216M is the KGS 254 M. Another fantastic model from Metabo that has a little bit of extra power and cutting capacity to give it the edge when it comes to some heavier use and larger cuts. With a larger footprint, the 254 is a bigger model that looks a little less compact than some of the smaller models. The design is simple and effective without any gimmicks. Like all Metabo saws it looks well built and robust which matches their reputation. This model has plenty of great features to shout about, so below we are going to run through them to help you work out if this the model for you. The cutting capacity of this model is good for the money. The sliding function gives a good maximum width of 305mm (12 inches) at 90 degrees and 205mm (8 inches) at 45 degrees. The maximum cut depth is 65mm (2.5 inches) at 90 degrees and 36mm (1.4 inches) at 45 degrees. 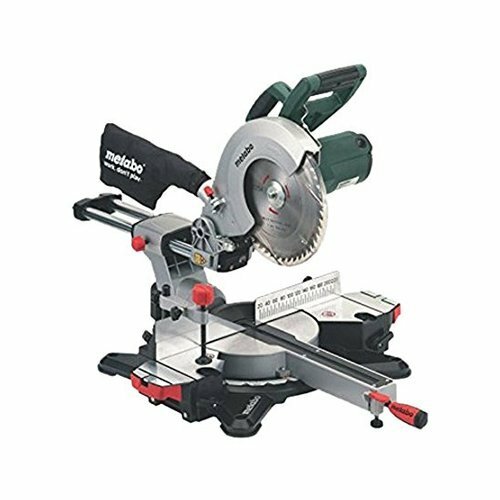 This saw is going to be great for smaller inside wood work, some structural work and flooring with the ability to cut some wide planks but is not going to cut some of the large 4 by 4 fence posts. Metabo have a wide range of saws with different capacities so bare thins in mind. Most of us only really cut up to 2 x 4’s and the Metabo KGS254M is well up to that job. For the money this a great amount of power, taking a step up from some of the cheaper models that have around 1500 watts. 1800 watts will give you plenty of power for tough materials and persistent use. 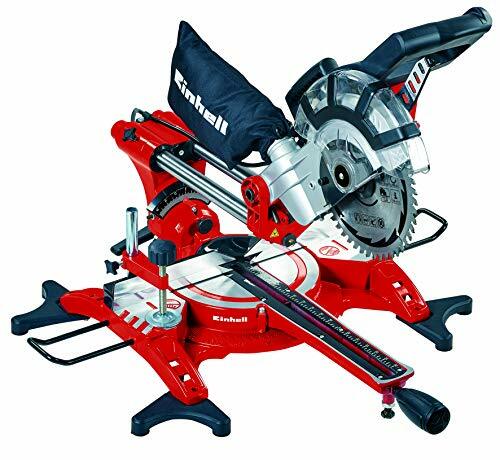 That’s really important if you are looking for a durable mitre saw. The motor is powered by a 240 volt power source that you can use in any standard UK plug socket. The 254 M weighs in at 13.5kg which is not heavy for a saw of this capability (but is equally not the lightest). To help out with moving this around there is a one handed grab handle situated on top of the saw body which makes it easy to pick up and walk around with. Simply lock the blade in place, unplug the saw and pick it up. The sliding bars give the extra cutting width capacity over the standard chop saws. 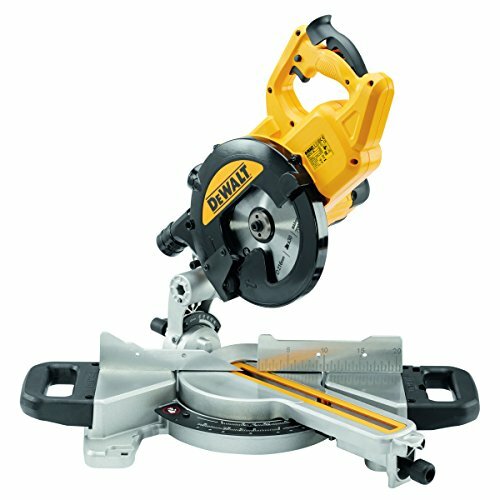 It would be good to see the sliding bars hidden as some of the Dewalt’s have on the newer models but this is a tried and tested way of building a sliding mitre saw. To line up the cuts perfectly there is a laser guide. This will assist you in lining up very accurate cuts. This system may need setting up out of the box but once it is working will really help. For longer lengths like flooring the extendable table will help hold the material in place making it a lot easier to line up the perfect cut. To move the cutting deck there is an easy to use handle to quickly move between the desired angles. The most used angles have lock points to make sure you are 100% accurate with the cut. Below are some of the all important safety features. A pretty standard small dust collection bag on this one. Okay for the occasional user, but won’t make a great deal of difference if the saw is being used regularly indoors. A dust remover may well be needed for heavy indoor work. The 2 part blade cover moves as the blade passes through the wood giving you protection from the spinning blade as you make the cut. Brilliant little feature that lights up the cutting area. Great if you are working in low light or have to bend down to line up the cut. Powered by the mains supply to the saw it is a very easy to use and handy feature. In this section, we’ll take a look at what some of the customers who have bought this saw in the past have to say about the Metabo KGS254M model. Some comments around customers upgrading from an Evolution or similar level saw to this Metabo. Generally very pleased with the accuracy and build quality of the 254. Many tradesmen have commented on the great accuracy of the angles. Brilliant for finishing work and working at speed. Often cheaper saws are not always great when it comes to some of the finer angles needed for professional finishes. A lot of the chat around this model is the quality of the build and accuracy which is great. But it all comes in for around the two hundred pounds mark. Even better! We have to recommend this saw for the money. 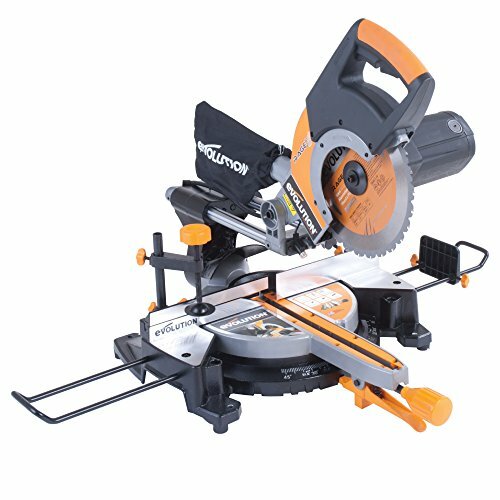 It will tackle most of the cuts the general wood worker will need and has a powerful motor to back it up. You can’t argue that the Metabo KGS 254 M price isn’t very competitive. 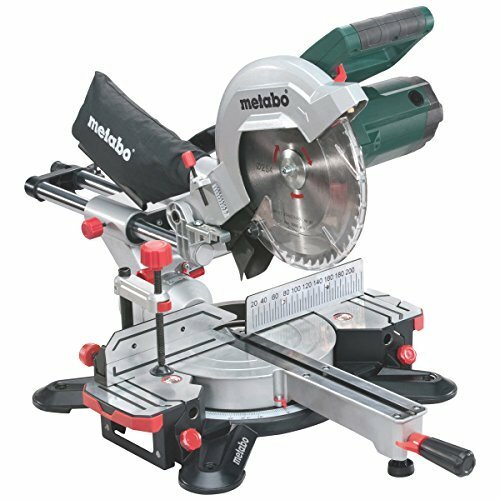 Metabo specialise in some great power tools and offer a wide range of well thought of mitre saws. 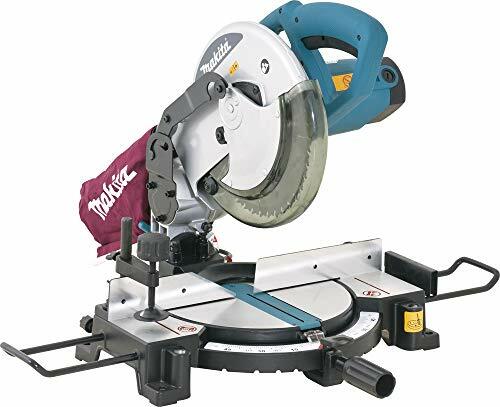 This sliding mitre saw is a great all rounder and one of the more popular models and we can see why.